We should back up a little so you can get to know Tim Alford and enjoy the twists and turns of a trajectory that lands in Lexington as incoming Middle School Head of The Lexington School. Tim’s childhood town in Mississippi has exactly six traffic lights. The son of one of the town’s family doctors, Tim attended the local public schools, where he swam in a relatively small pond, involving himself in as much as he could—theater, band, captain of the sports teams. The first person in his town to go out of state to college for many years, Tim attended the University of the South where he developed a deep interest in the humanities and where thoughtful, objective discussions on ethics and religion inspired him to pursue a master’s degree in theology at Harvard University. “I wasn’t sure what I wanted to do next,” Tim explains. “I thought about pursuing a doctorate in Theology and teaching in higher Ed, but Harvard was a very different experience. People were so brilliant but also hyper competitive. The philosophical conversations I enjoyed so much in undergrad turned into: how will I get my thesis in before they do?” It wasn’t the direction Tim wanted to go, so he turned his attention to an age and stage where he could have an impact—Middle School. Teaching World Religion and Peace Studies for three years in Boston, Tim came to love middle school students. “I love how formative those years are, how open and capable they are of having bigger and bigger discussions and moving into more independence but still pretty receptive to adult input in their lives,” Tim explains. Boston charter school was Tim’s introduction to what would become his career, but Mary Bruce and he missed the south and looked to move home. St. Andrew’s Episcopal in Jackson, Mississippi called Tim back to his home state with an opening in middle school World Religion Studies, and his future built quickly from there. 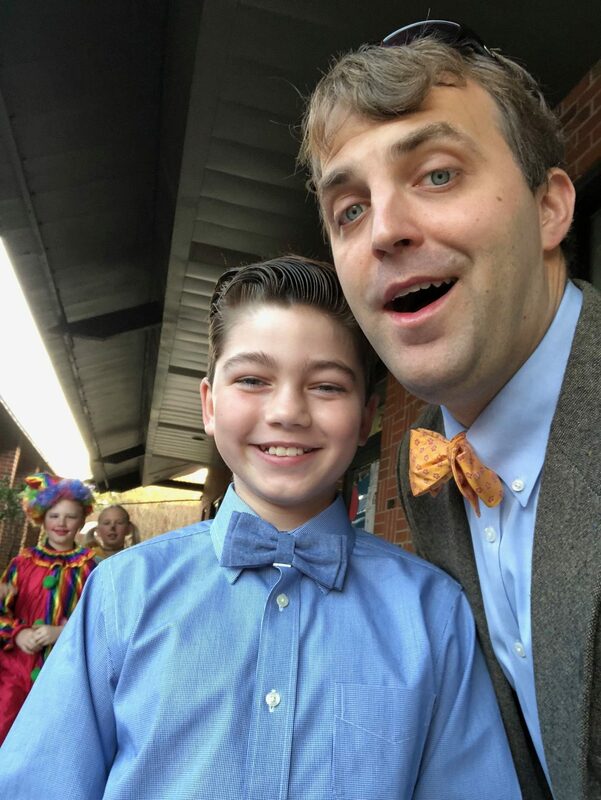 He acquired an MA in Educational Leadership from Vanderbilt, headed up St. Andrews’s lower school and then back to the “sweet spot” as Head of Middle School. Tim will miss Mississippi, family, and colleagues, but Lexington is home too, and The Lexington School presents a new community and exciting challenge for Tim and his family. Tim talks about all the TLS alums he knows and their first-hand testimonials. “TLS is their bedrock,” he says. When alums talk about TLS, they describe it as “simultaneously more fun and more important” than anything else. For all of these reasons, Tim and Mary Bruce are thrilled that their three adorable children, Stella (almost 2), Virginia (almost 3), and Gray (6) will join the TLS in the fall. And for all of these reasons, The Lexington School community is excited that it is almost time for Tim.